Wide Leg Denim? Love it! 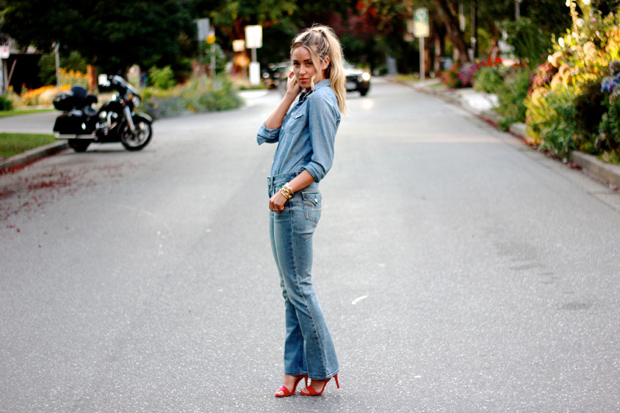 When wearing wide leg denim I always tuck my top in - it offsets the volume of the jeans, and is instantly flattering. Pairing denim with denim is effortlessly cool, and adding big shades and gold accents it dresses up the look to make it city ready!